Federal Buyers Guides, Systems Covered Forms. 2 part NCR. Required by law for consumer protection on used vehicles, this form meets federal regulations for Vehicle Systems Covered Only. 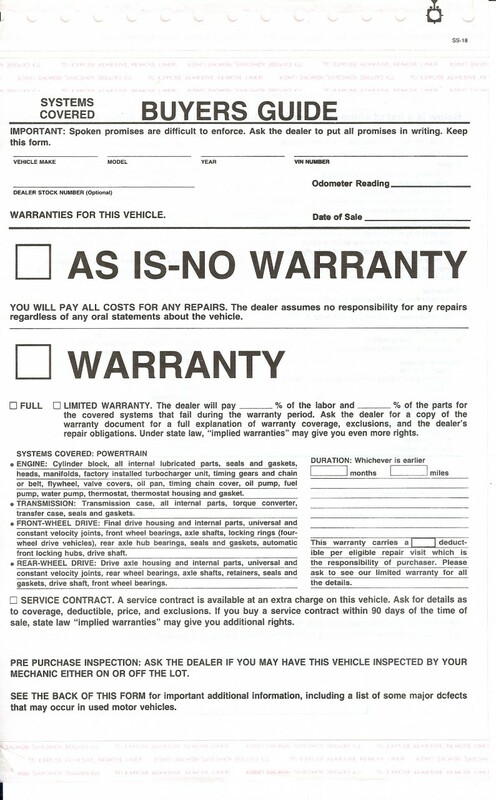 This form is to be used when you are offering a warranty with the vehicle being sold. Note: this form also has a box for As Is No Warranty. 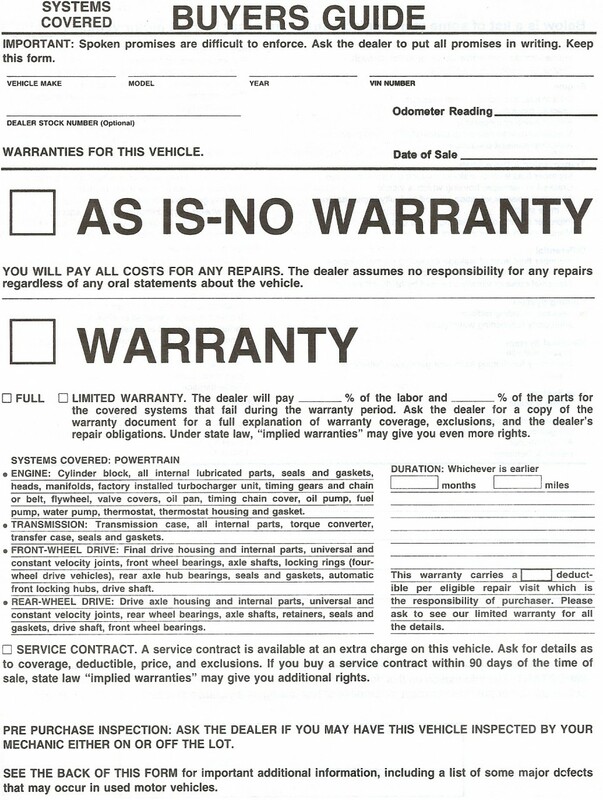 This generic form shows Full or Limited Warranty, the percentage the dealer will pay for labor and parts. 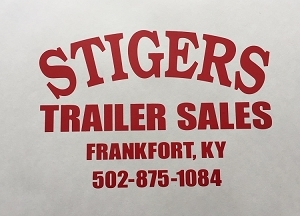 On the form: Systems Covered: Power-train: Engine, Transmission, Front-Wheel Drive, Rear-Wheel Drive, the duration of the warranty and any deductible. Also shows if a service contract is available.